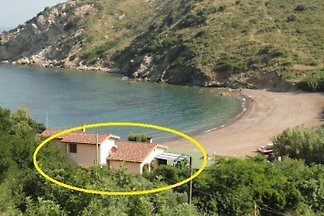 Single house with terrace overlooking the sea and ladder to the beach. Beautiful view on the gulf. Large courtyard for cars. Two bedrooms, kitchen, bathroom. 2 rooms, 1 floor, approximately 40 square meters. 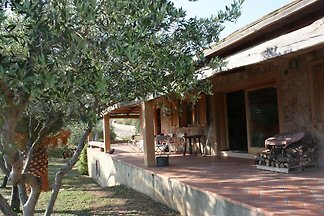 Entrance via furnished terrace in living / sleeping area with two drawer beds, dining area, kitchenette (4 rings). Double room. Shower / WC. Tiled floors. 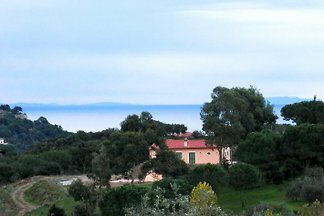 The house is a pink villa on a hill in the countryside of Porto Azzurro, just km from the sea and the village, which can be reached on foot. from 5 2 holiday homes & accommodations in Magazzini were rated with an average of 4.1 out of 5 stars ! 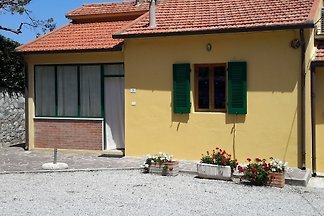 Rent successfully your holiday flat or holiday home in Magazzini in only 20 minutes !